Can we give dates in smooth consistency to 7month old baby?? My baby is 7month old and having formula milk... How much milk should she drink approx. 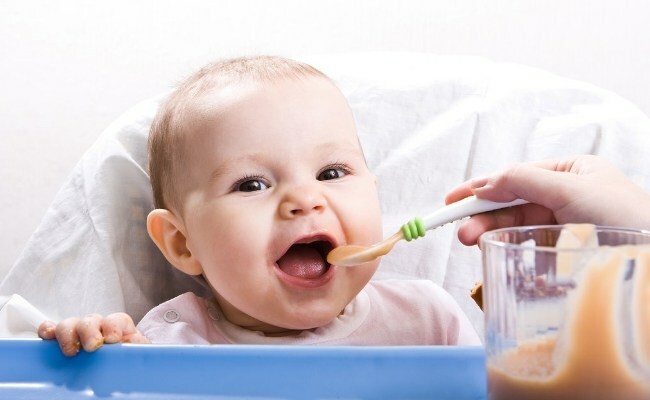 once she is started with solid foods? I am not sure. I didn't give maha too much of it. Just 1/2 to 1 cup daily. I gave, that too for a very small period of time. Hi Aarti, from when did u introduce formula milk... My baby is 4 months... Can I start giving him formula now along with breastmilk.. Thanks in advance!! I introduced formula for her after 6 months, but she didn't like it much..So continued just with breast milk. is that good to give nan1 to five month baby? Thanks for your tips..it is a very useful one and can u tell me at what time to take bath him..I am unable to follow the timings coz for me the cereal timing around 7 is it ok? Hi, when you say lots of water, how much do you mean, approximately? Also, how do you give it? In a bottle, sippy cup or something else? thanks in advcance..
in a bottle or in a cup using a spoon. just 1/4 cup of water or less as per your babies need. Biscuits are made up of maida.. is it recommended to give. My Pead scolded me when I asked for her suggestion. Biscuits contain gluten. It's better to avoid. and I am giving roasted ragi powder to him..is there any problem of using roasted ragi powder?